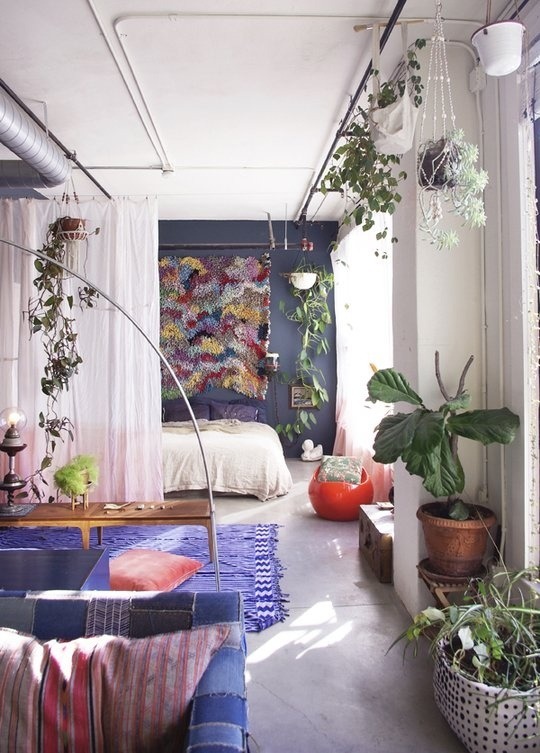 Today's trend is dedicated to a friend/coworker who dreams of converting his own loft one day and creating an outside oasis indoors. While I can appreciate this, my own personal relationship with indoor plants is somewhat abusive in a violating-Geneva-conventions sort of way. Define water torture, I might say in my defense. I tried to add some Home Depot "low-light" plants to our decor a few years ago, and even those, sitting in front of our floor-to-ceiling windows, didn't last as long as a carnival goldfish. For me, gardening just falls under the same category as cooking; things that I don't feel like learning. 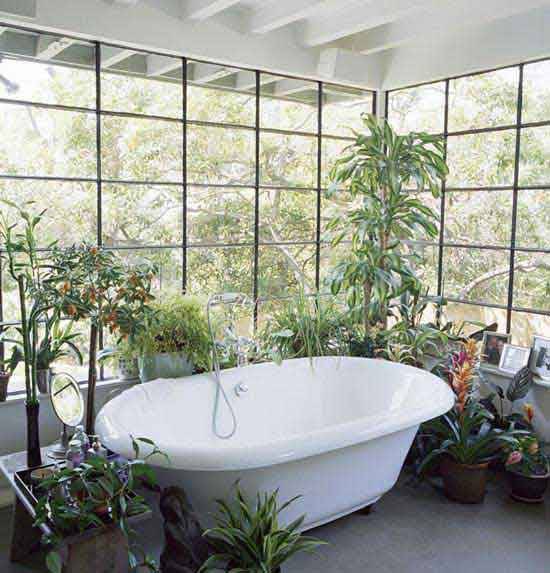 But that doesn't mean I can't admire the amazing use of greenery in interior design. I find indoor plants to be warm and inviting in an inexplicable (primative? evolutionary?) way. 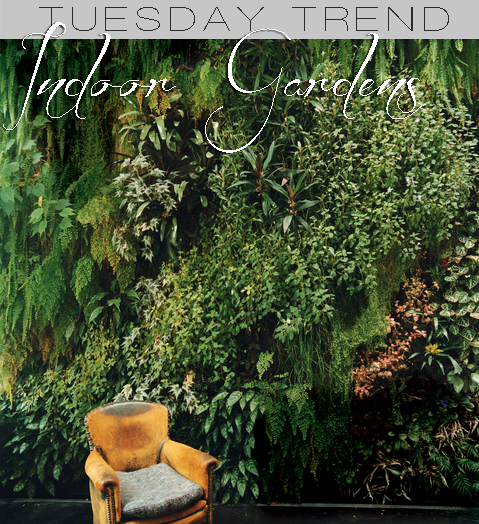 I think it's clear that the indoor garden designers tend to be of a different ilk than us straight interiors people who may throw in a ficus every once in a while. 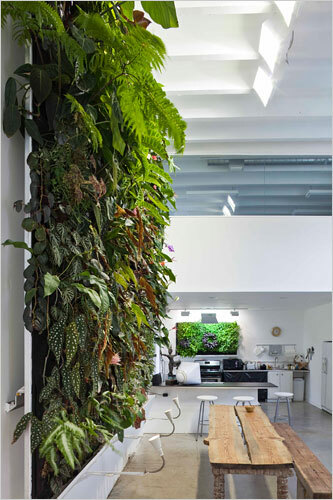 As you can see from the below examples the use of entire plant gardens command full attention, influencing and impacting every element of the room's design. The actual arrangement and design of the gardens are an art form of their own, not to mention the attention and skill to keep this mess alive. Like every day.